Midfielder and winger who was named the Asian Young Footballer of the Year in 1997 and 2003 and won the Iran Football Federation Award of Honour in 2013. From 1991 to 1995, he played youth soccer for Bank Melli. 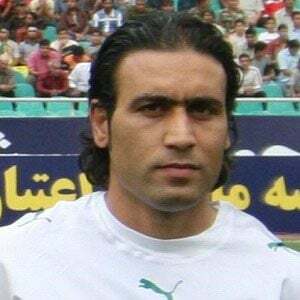 He played for the Iranian national team from 1996 to 2009. He has a daughter named Asal. Center forward Ali Daei was his teammate on the Iranian national team.